The disease of alcohol addiction affects millions of individuals across the globe. These people are affected by alcohol in various ways, and develop alcohol abuse problems for numerous reasons. Some people are chronic drinkers and have experienced negative effects in their life, relationships and careers. Others drinking habits lead to high-risk behaviours like binge drinking, whilst some are better at hiding it. We often think of alcoholics as one and the same. However, according to the National Institute on Alcohol Abuse and Alcoholism (NIAAA), there are five types of alcoholics. Understanding the behavioural characteristics of certain types of alcoholics provides key information concerning treatment options. The young adult subtype is the most predominant subtype, which categorises people from the age of 18 to 25. The average age of an individual who develops alcohol addiction in this group is around 20 years old. These types of alcoholics tend to drink less regularly than other groups, but binge drink whenever they do drink. The average maximum amounts of drinks that they have on drinking days are 14. Young adults are at the age where they start to become independent from their parents and are able to make their own decisions. Their peers are also going through the same thing and are looking to have fun, which often includes heavy drinking. Peer pressure is severe at this age and many people find it difficult to fight. Perhaps the saddest thing about these types of alcoholics is that they are the least likely to get treatment. Many do not think that they have a problem or realise the gravity of their problem. Consequently, many stories of alcohol addiction start here. Young adults with antisocial personality disorders vary from the previously mentioned subtype in several ways. This subtype is frequently paired with mental health issues outside of antisocial personality disorder. Yet, an interesting fact about this type is that one-third of them seek treatment, which could be due to the severe issues caused by their antisocial personality. Individuals with antisocial personality disorder tend to develop alcohol problems because of the irresponsible way in which they go about their lives. It is more difficult to treat this type of co-occuring disorders because it cannot be cured. However, it can be managed through educational treatments and behavioural changes. Alcohol addiction can appear to be less severe in some people than others, such as with functional alcoholics. Functional alcoholics seem to be able to manage their addiction, even though it is just as much of a problem. These types of alcoholics usually develop during middle age, which can be due to more spare time (after retiring or children moving away from home) or the subduing of their formerly wilder drinking habits. Only 25 percent of functional alcoholics suffered from former drinking problems, with another 25 percent suffering from clinical depression. Alcohol addiction in the family is also often an issue with this subtype. Functional alcoholics go about their daily life in a normal manner, and come across as successful in all aspects of their life. Nonetheless, when they drink at the end of the day, they drink to excess. They often have managed to tame their binge drinking and think that only drinking five or more drinks per night is a decent compromise to their former patterns. People with functional alcoholism are seriously damaging their bodies and setting an example of problematic drinking that could impact their family. Some functional alcoholics use alcohol to self-medicate other issues. It is more difficult to recover from this form of alcohol addiction since most functional alcoholics do not realise that they have a problem. Individuals with alcohol addiction in their family history tend to suffer from an intermediate familial subtype. There are usually a handful of causes for this subtype. Firstly, when a person is raised in a heavy drinking culture, they tend to imitate it. It exhibits the behavioural patterns that they are familiar with, and they may follow in their family member’s footsteps regardless of the consequences. For others, addiction may be genetically predisposed, such as if the body’s chemistry inherently leads to addiction. This can make it very difficult for these people to quit, particularly if they use their family history as an excuse for their behaviour and do not attempt to change it. People in this category may also suffer from mental health problems, since over 50 percent of people in this subtype suffer from clinical depression, with bipolar disorder making up another 20 percent. In order to break free from this subtype, they must understand that they are not destined to become alcoholics simply because it exists in their family history. While it can be difficult to escape this intricate interaction, such as by distancing themselves from alcoholic family members, it is achievable. Chronic severe is the most problematic subtype. Individuals in this category usually drink daily, and to excess. Their dependency has probably caused numerous health and social issues that have ruined their lives, but they still keep drinking. These people experience high levels of physical addiction, which causes them to experience withdrawal symptoms if they change their drinking patterns. 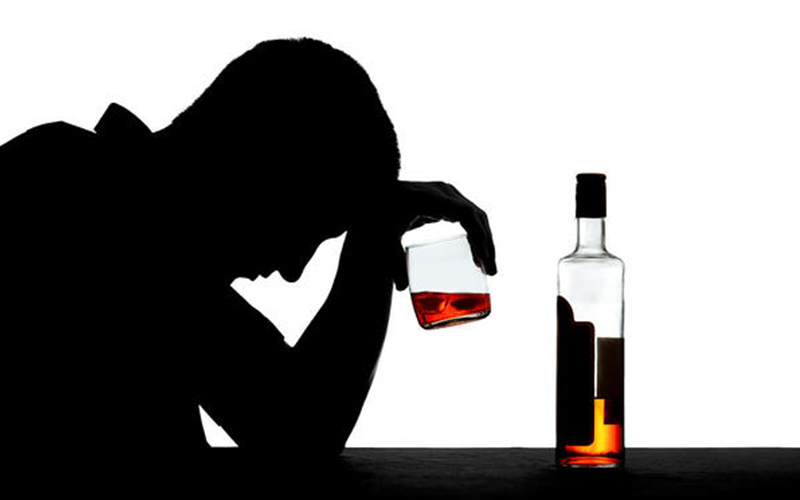 Chronic severe alcoholism also tends to transpire in people with dual diagnosis symptoms more than any other subtype, which describes the presence of alcohol addiction with one or more mental health issues (like bipolar disorder or depression). The benefit of a person being in this category is that their addiction is evident and disturbing enough for them to seek help. Two-thirds of the people who come under this subtype end up seeking to treat for their alcohol addiction. Understanding the different types of alcoholics can help you get a better idea of how you can get the help you need to recover from your alcohol addiction. Seeking treatment is the most important thing you can do to improve your life. The Dawn Medical Rehab and Wellness Centre is a reputable alcohol and drug rehabilitation centre that offers highly-personalised and intensive treatment. Contact The Dawn today to receive a no-obligation assessment and find out what help is available.